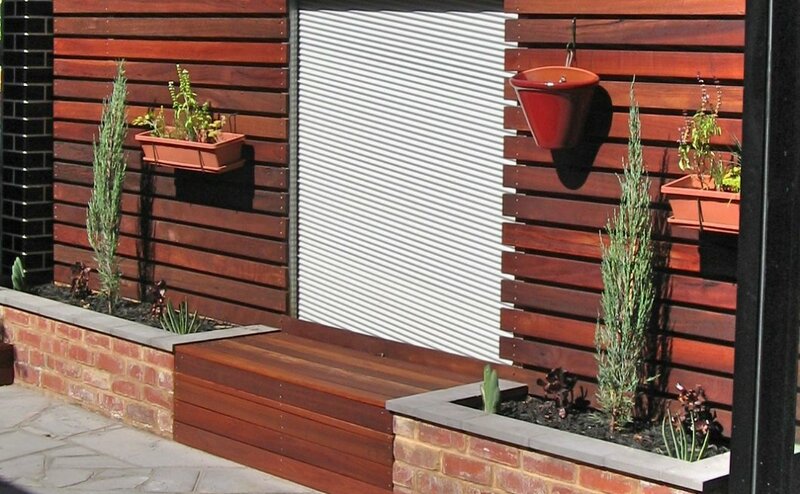 Sometimes small spaces make the most interesting canvasses because of the need to satisfy so many requirements without sacrificing a sense of harmonious balance between the elements. 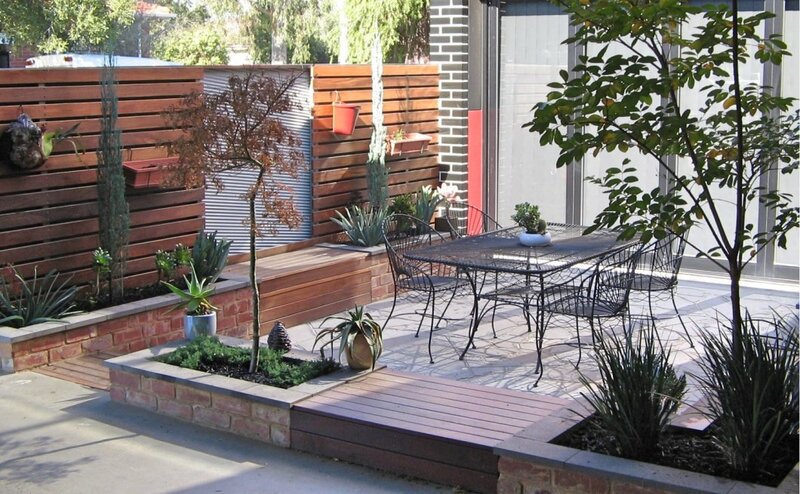 This courtyard needed a hard paved surface as an additional dining and outdoor living space, a daybed for relaxation, greenery to soften the harder elements. 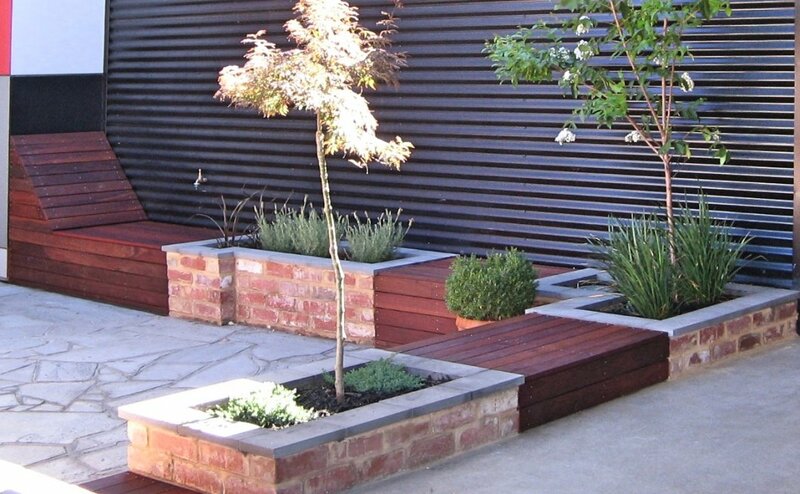 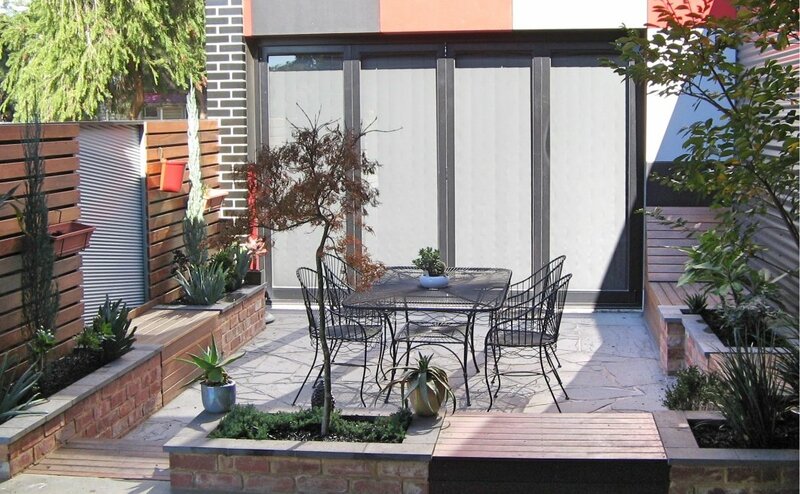 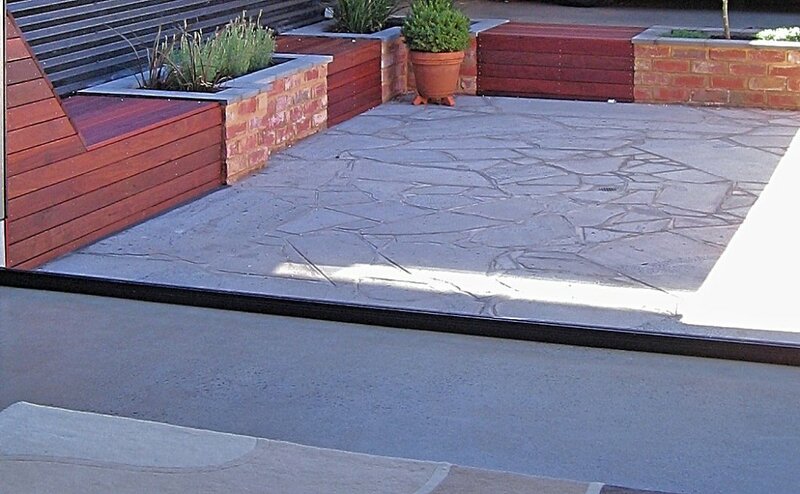 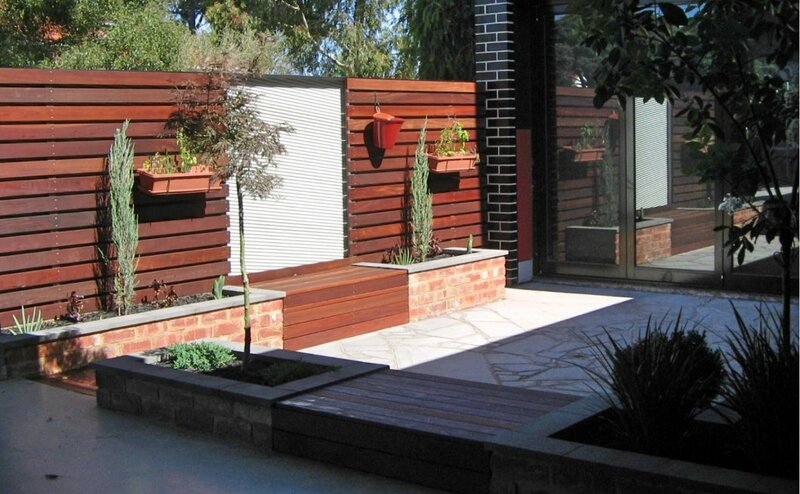 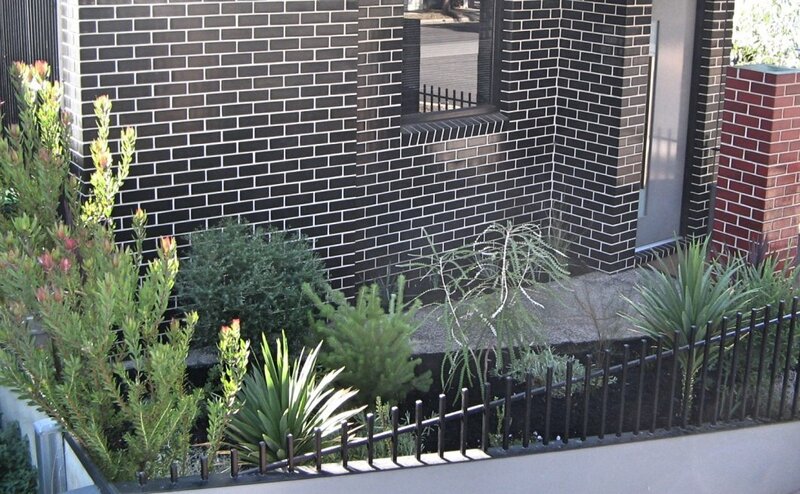 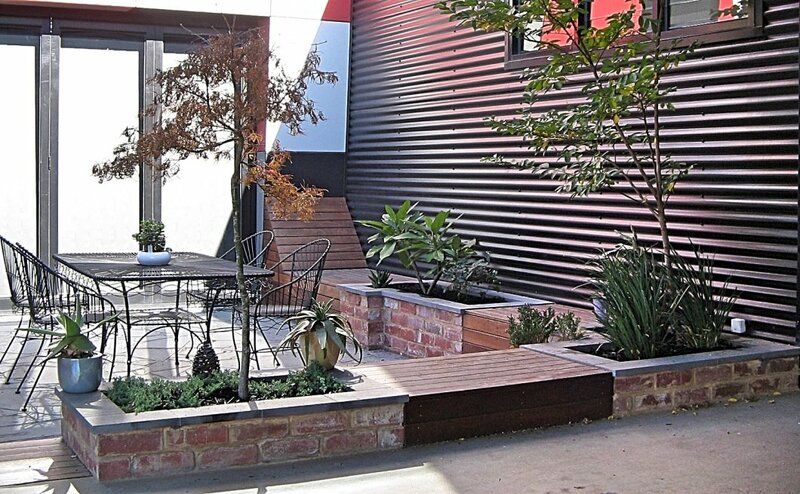 Second hand red bricks warm and complement the bluestone crazy paving, succulent and structural plants colour and harmonise the harder elements - whilst being able to thrive in the hot and dry Melbourne summer months.